Experimental device supply allowing to test active avoidance on larvae or adult zebrafish, with visual, sound and electric stimuli. 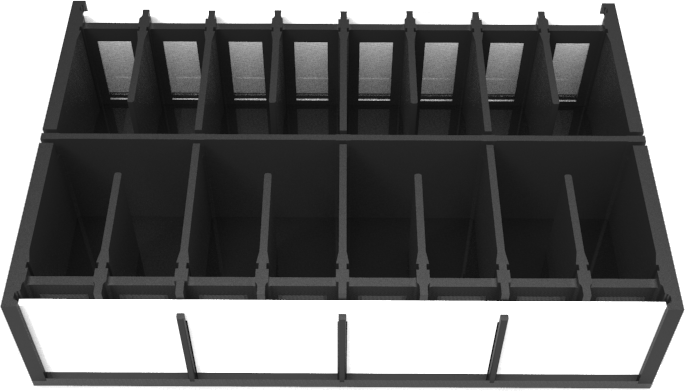 Each tank will have 2 compartments of 15 cm length separated by a removable wall equipped with a mouth of a shape and dimensions to define before manufacturing. 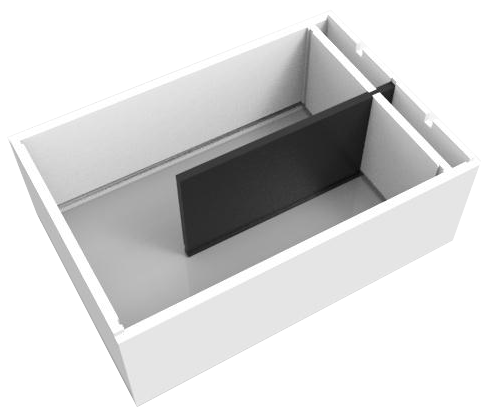 The 2 compartments will be equipped with stainless steel plates placed at the bottom and at the surface enabling the electric shocks to be delivered. The tank is divided into 8 compartments (2 rows of 4), for up to 8 larvae at the same time. One compartment is sized 34*29 mm with two areas of 14 mm wide. Visual and electric stimuli will be controlled by the ZebraLab software. An independent visual stimuli system for each compartment.